We were founded in 1946 and have remained a stable employer in the Midlands region for almost seven decades. From our early beginnings as the government funded, Motor Industry Research Association, HORIBA MIRA – (as we are called today), is now a world-class, independent vehicle engineering and development consultancy. We deliver intelligent solutions that solve our customers’ challenging problems. On the 11th December 1945, a meeting takes place in the SMMT premises in London where MIRA's Memorandum and Articles of Association are signed. On the 1st January 1946, MIRA was incorporated when the responsibilities for the UK's automotive industry's research were handed over to the Motor Industry Research Association from the Automobile Research Committee. On the 20th June 1946, the Institute of Automobile Engineers formally presents its laboratories in Brentford, Essex to MIRA, where the company operates from until it outgrows the site in September 1948. Following an evaluation of over 40 potential post war sites, including Donnington Park and Silverstone, a former airbase near Nuneaton is leased by MIRA in 1948 as the start of the proving ground. The airfield chosen was RAF Lindley and consists of more than 650 acres with three concrete runways, perimeter tracks, dispersal and hard standings, a control tower and one hangar. MIRA’s Nuneaton proving site is formally opened by Leonard Lord on 28th April 1949. He brought scissors with him to cut the tape but MIRA’s first Managing Director (between 1946 – 1964), Dr Fogg (in raincoat) who had previously worked on ballistics arranged for an explosive to sever the tape. The first purpose built track on the Proving Ground - a half-mile section of the famous Belgian Pavé road opened for use in early 1950. Meanwhile, the new MIRA laboratory facilities were being constructed on an 11 acre site along the A5 trunk road, Watling Street. In 1952 construction was underway on of one of the three super-elevated bends on the high-speed circuit. This 34° banking allows a neutral-steer speed of 85mph meaning constant 100mph laps were easily achieved. The current headquarter buildings on the A5 were completed in 1953, one year ahead of MIRA's formal opening ceremony. By 1954 there was sufficient in the way of facilities at the former RAF site for MIRA to hold an official opening ceremony. On the 21st May, the high speed track was used for a grand cavalcade of vehicles in front of the then Minister for Transport, Rt Hon A T Lennox-Boyd. By the mid-1950s MIRA was carrying out important research work in the areas of ergonomics, including drivers' field of vision and body structures analysis. In 1957 a cold room was built on the laboratory site. It was rebuilt in the mid 1980s as a hot and cold climatic chamber with a variable humidity capability and enhanced again in the mid-1990s by the addition of a solar array for simulation of the sun’s thermal effect on vehicles. At the end of the 1950s an extensive investigation of wind tunnel testing was carried out using the 24 foot diameter aircraft wind tunnel at RAE Farnborough. The conclusion was that a purpose-built wind tunnel for the automotive industry was required and that MIRA should set about designing and building the world's first. Opening in 1960, the full scale tunnel used four aircraft propellers as the fans, each driven by a 325hp electric motor. During the 1960s MIRA rapidly built facilities to accommodate the newly emerging engineering disciplines. Development included a crash laboratory, NVH chambers and in 1967 an ‘atmospheric pollution’ emissions laboratory (pictured). During this time of change the managing director was Professor Macmillan (1964 – 1977), who was also heavily involved in MIRA’s switch from a grant-aided to a commercial operation. In 1968, Anthony Wedgwood Benn (Tony Benn) who was then the Minister of Technology came to MIRA to open the new crash laboratory. The laboratory was the most advanced in the world and helped MIRA lead the way in the newly developing science of safety development engineering. The energy crisis of the 1970s meant that new powertrain technologies began to be investigated, with many people believing that by the turn of the century we would all be driving around in electric vehicles. The ‘Enfield’ was a valiant British electric vehicle project that was actually produced in limited numbers. The MIRA laboratory site photographed in August 1976. Compare this view with the aerial photograph taken in 1995 to see the site development that occurred in the intervening period. MIRA’s HyGe laboratory was first opened in 1981 by HRH Prince Michael of Kent. In 1996 the facility was extended and upgraded. 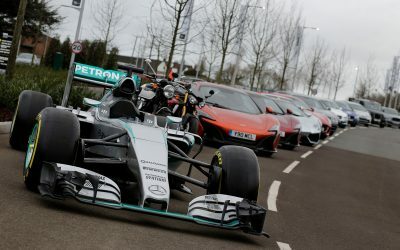 It was re-opened by Sid Watkins OBE, F1's safety and medical delegate at the Federation International de L’Automobile (FIA). 1982 sees the opening of MIRA's Engine Test Laboratory by HRH Prince Michael of Kent, initially with six engine test cells. The facility has since been expanded with the addition of a further eight test cells. Standing to the left of Prince Michael is Cedric Ashley, who was MIRA's managing director from 1977 to 1987. When Prime Minister Margaret Thatcher and husband Denis came to see MIRA’s facilities in 1986, the media came too. MIRA's first Semi Anechoic Electromagnetic Compatibility (EMC) chamber is opened by Sir John Egan, chairman and chief executive of Jaguar Cars. Sir John is standing on the left in the photograph and to his right is David Swallow, who was MIRA’s managing director from 1987 to 1990. After the straight line wet-grip surfaces were opened in 1986, the wet-grip turning circles followed in 1989. The scale of the facility is illustrated by the Jaguar XJ-S at ‘2-o’clock’ on the middle circle and also inset. In preparation for the 1992 Barcelona Olympic Games, Chris Boardman and Lotus Engineering take cycling to another level. Testing with MIRA’s aerodynamics team in the full scale wind tunnel, they perfect the aerodynamics of both the Lotus ‘super bike’ and Chris’ riding position. The rest of the story is history, with Chris catching his opponent Jens Lehmann in the final of the 4km cycling pursuit to win the Olympic gold medal. ‘L1111’ is the first crash test conducted in MIRA’s new state of the art crash test laboratory. The test was performed on the 19th November 1993 in front of a large audience of guests which included Robert Key, the Minister for Roads and Transport. In 1993 MIRA’s first Climatic Wind Tunnel (CWT1) was also opened and instantly proved itself to be a great success. The MIRA laboratory site photographed in July 1995. Major changes have occurred since the 1976 aerial photograph was taken. These include the building of the structures laboratory, calibration centre, pedestrian laboratory, hyge laboratory, new crash laboratory and engine test cells. There is also now car parking along the front of the site to cope with the increased number of staff and customers. In 1996 MIRA’s Kinematics and Compliance Facility is opened by Richard Parry-Jones, VicePresident, Small and Medium Vehicle Centre, Ford Motor Company Limited. The facility applies individual or combined motions or forces to a vehicle, and can then measure and define the test vehicle’s suspension and steering system characteristics. On October 15th 1997, Thrust SSC becomes the first car to break the sound barrier when it sets a land speed record of 763mph. During the development of the car, MIRA assisted the Thrust SSC team with its rear-wheel-steering system and also by conducting aerodynamic evaluations on a scale model of Thrust SSC. On December 16th 1998 a McLaren F1, driven by Peter Taylor, breaks the MIRA high-speed circuit record averaging 168 mph (270.36 km/h) around the 2.82 mile (4.53 km) banked circuit at one point reaching a speed of 196.2 mph (315.75 km/h). The previous lap record was set in April 1967, in a sports-racing prototype built for the Le Mans 24-hour endurance race. This winning car, Jaguar's XJ13 managed an impressive lap average of 161.655mph (260.15 km/h) and was driven by British racing driver David Hobbs. MIRA’s Quatro Park engineering test centre in Basildon, Essex, opens in June 2000. The facility offers support to Tier 1 and OEM customers based in the South East of England and beyond. This bespoke engineering test facility is the largest of its kind in the UK, and with BS EN ISO 17025 (UKAS) accreditation, Quatro Park offers independent validation testing on a variety of products for all engineering sectors. In order to meet customer requirements a second Climatic Wind Tunnel (CWT2) was opened in 2003. The opening ceremony was performed by Dr Tim Leverton, Group Engineering Director, J. C. Bamford Excavators Ltd. Dr Leverton is shown on the left in the photograph and on the right is John Wood, MIRA's Managing Director from 1991 to 2008. MIRA’s comprehensive Electromagnetic Compatibility (EMC) capabilities are further enhanced with the opening of the Heavy Vehicle Semi Anechoic Chamber (HVSAC), which has the capability to test large heavy vehicles. Major General Alan Sharman, Director General of the Defence Manufacturers Association performed the opening ceremony. General Sharman is shown on the right in the photograph. The ‘Crash Test Company of the Year’ award is presented to MIRA by Automotive Testing Technology International magazine in 2007. The photograph shows MIRA’s safety development manager Joanne Gleave being presented with the award by automotive journalist Keith Read. In 2009 MIRA's engineering expertise extends to the rail industry. At the Long Marston test site, MIRA performs Britain’s first full-scale rail crash test in over 20 years. Plans to redevelop the MIRA Technology Park (MTP) are announced. These include building a state-of-the-art Engineering Centre and creating the most advanced, independent transport Technology Park in Europe. This ambitious project aims to generate more than 2,000 jobs over the next ten years. MIRA’s plans to develop Europe’s most advanced transport Technology Park attract praise from the government. In separate meetings with Deputy Prime Minister Nick Clegg, and Business Secretary Vince Cable, MIRA's CEO George Gillespie explains how a state-of-the-art Engineering Centre and Technology Park will help attract international companies looking for advanced engineering expertise and facilities. Planning approval for MIRA's 1.75 million sq ft Technology Park development was endorsed by Secretary of State Eric Pickles in March 2012. In November 2012 MIRA's new 43,000 sq ft Control Centre was opened by the Rt Hon Dr Vince Cable, Secretary of State for Business, Innovation and Skills. In September 2013 MIRA hosted Prince Harry and the UK team of the Walking With The Wounded Allied South Pole Challenge. During the 24 hour exercise the team were subjected to temperatures as low as -35°C, snow blizzards, and winds of up to 200km/h to prepare for the brutal environment of Antarctica. 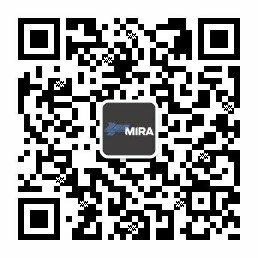 The event received international coverage and generated a significant amount of interest in MIRA's environmental testing services. Business Secretary Vince Cable returned to MIRA Technology Park on 30th July 2014 to announce that driverless cars could take to UK roads from January 2015, and that UK cities could bid for a share of a £10m competition to host a driverless cars trial. 2014 also saw Bob Joyce, Jaguar Land Rover's Executive Director of Product Creation and Delivery, launch MIRA's newly expanded kinematics and compliance facility featuring Europe's only independent Suspension Parameter Measurement Machine (SPMM) with moment of inertia capability. HORIBA – a world-leader in automotive test systems – expands its operation through the purchase of MIRA. The investment, which was completed on July 14 2015, sees HORIBA expand its current portfolio, with a move into vehicle engineering and testing consultancy. On 29th January 2016, Marcus Jones MP - Minister for Local Government, attended an event at MIRA Technology Park to celebrate completion of Phase One of its key infrastructure development plan. Vehicles developed at HORIBA MIRA were displayed at the event, ranging from a Mercedes F1 car to a 41 tonne CAT articulated truck. Business Secretary Sajid Javid also visited HORIBA MIRA on 1st February, to announce £20m of new funding to support the research and development of driverless car technologies.